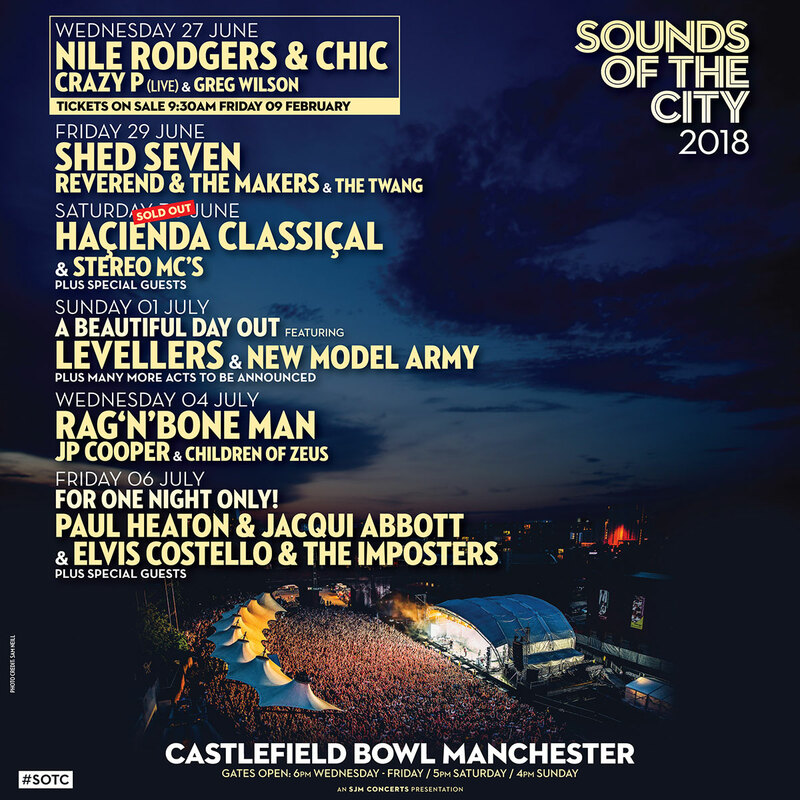 The hitmaker, GRAMMY-winning composer, producer, arranger, guitarist and undeniable music legend Nile Rodgers & CHIC will be taking over Castlefield Bowl for Sounds of the City on Wednesday 27th June 2018! Nile Rodgers is truly exceptional. He amplifies his legacy by constantly traversing new musical terrain and successfully expanding the boundaries of popular music. As the co-founder of CHIC, Rodgers pioneered a musical language that generated chart-topping hits like “Le Freak,” sparked the advent of hip-hop with “Good Times,” and won CHIC 11 Rock and Roll Hall of Fame nominations. Nile Rodgers transcends all styles of music across every generation with a body of work that’s garnered him inductions into the Rock & Roll Hall of Fame (2017) and the Songwriters Hall of Fame (2016). His work in the CHIC Organization and his productions for artists like David Bowie, Diana Ross and Madonna have sold over 300 million albums and 50 million singles worldwide while his innovative, trendsetting collaborations with Daft Punk, Avicii, Sigala, Disclosure and Sam Smith reflect the vanguard of contemporary music. In addition to Nile's claim to fame as a true "hitmaker", he is also the Founder & Chairman of the We Are Family Foundation, a non-profit organization dedicated to the vision of a global family by creating and supporting programs that promote cultural diversity while nurturing and mentoring the vision, talents, and ideas of young people who are positively changing the world. Fuelling four decades of pop anthems with more than 200 production credits to his name, the scope of Nile Rodgers' peerless influence is undeniable. This new outdoor show will see the pioneers joined by CRAZY P (Live) and Greg Wilson. 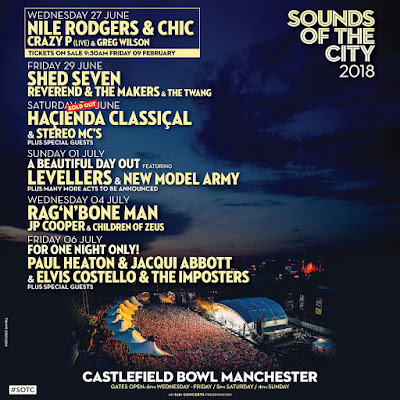 As previously announced Shed Seven, Haçienda Classiçal, A Beautiful Day Out featuring The Levellers, Rag’n’Bone Man, Paul Heaton & Jacqui Abbott + Elvis Costello & The Imposters will also be headlining dates at Sounds Of the City.